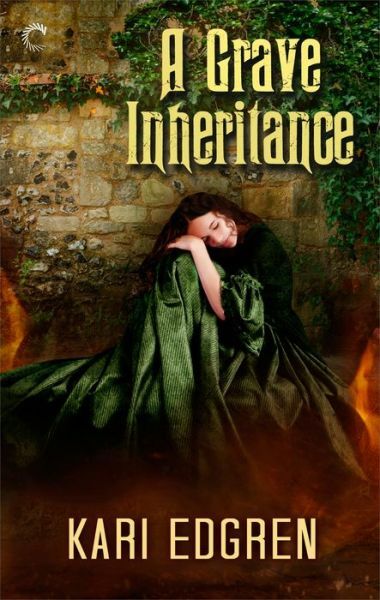 Today kicks off Kari Edgren's Blog Tour for A Grave Inheritance, the second book in her Goddess Born series, and I have a chance for one of you to win an eBook! Selah Kilbrid may descend from the goddess Brigid, but her heart beats—and breaks—the same as any human. Yet enduring the scorn of London's most noble lords and ladies is a small price to pay for a chance at true happiness. Selah would endure much more for love, and her betrothed, Lord Henry Fitzalan, is prepared to challenge anyone foolish enough to stand in their way—even another goddess born. With these doubts threatening her impending marriage and the very last of Brigid's fire draining from her soul, a violent attack on an innocent child pushes Selah to the very edge of her power. She must find a way to cross into the Otherworld and regain her strength—or forfeit the streets of London to death and disease. To enter to win an eBook of A Grave Inheritance, please complete the Rafflecopter giveaway form below. - Giveaway ends at 11:59pm on December 12th. You must be 18 or older to enter. - Giveaway is open internationally. - Only one entry per household. - Winner have 48 hours to claim prize or new winner is chosen. I need to read the first book. How many in total will there be?